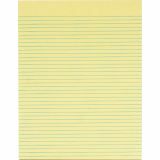 TOPS Letter-Size Legal Pads - Writing pads feature a durable chipboard backer to support the pad when writing away from a desk. Each letter-size pad includes 50 sheets of 15 lb. canary paper. 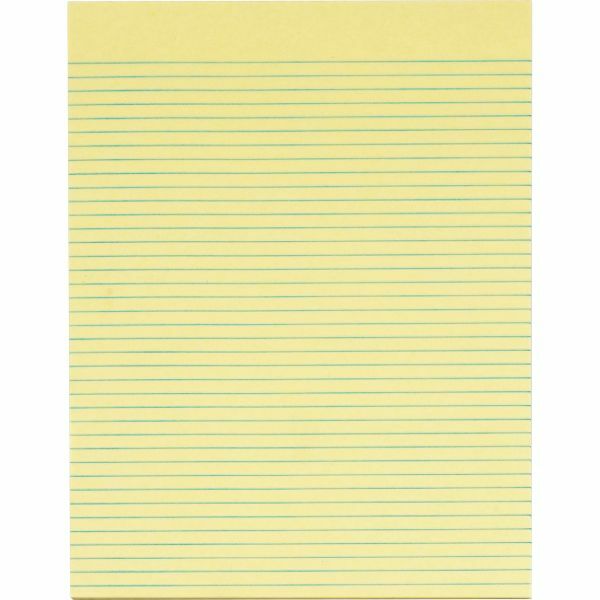 Each sheet is legal/narrow-ruled. Glue-top construction allows easy sheet removal. Backer is made of 30 point chipboard.